Lower Big Blue Natural Resources District - Leisure Lake W.M.A. Leisure Lake is located 3 miles south of Plymouth, Nebraska. This lake is a 50 acre lake built in 1980 as part of the Cub Creek watershed project. 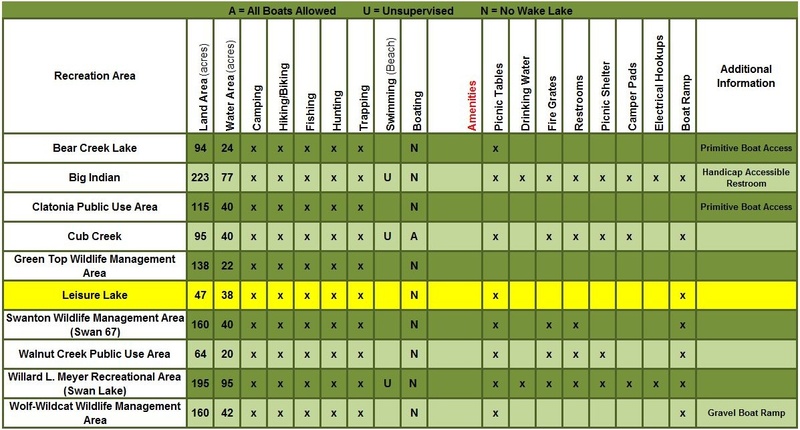 The lake was renovated in 2008 to improve water quality and fish habitat, and it was also stocked with fish in 2011. 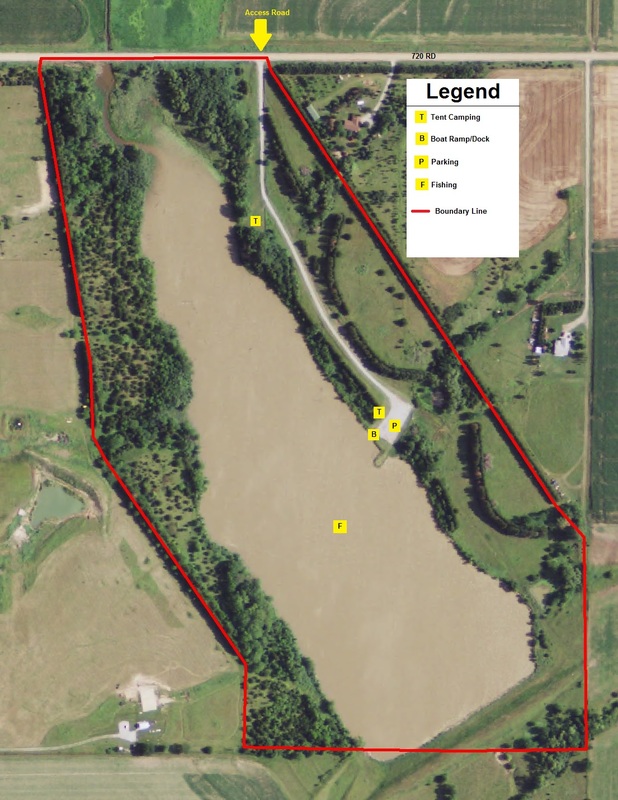 With the addition of a concrete boat ramp and dock, this lake should now provide and excellent place to fish. There is also a great spot with a picnic table and fire pit for anyone that wishes to camp.